Spectators | The International Cricket Hall of Fame. 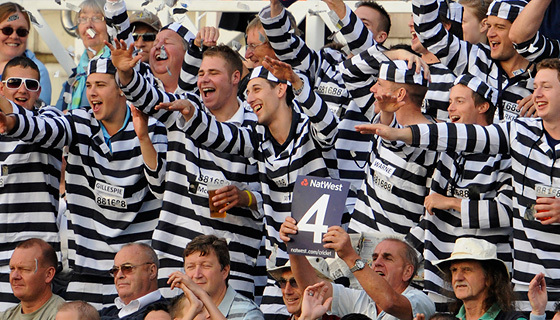 Whether you go to the ground or watch the game on TV, the array of colourful characters and groups of fanatics dressed up in weird and wonderful outfits are almost as entertaining as the game. In more recent times, with the introduction of the Indian Premier League and the Twenty20 format, cricket has taken on a much more enjoyable feel. Not just relying on the entertainment of the game itself, these matches now feature fireworks and cheerleaders among other things, to enhance the fun atmosphere at the ground. Just like sporting teams have their own fan bases, so do national teams. Here’s a quick look at some of the well known national fan bases. England’s supporter group is almost as famous as the team itself. 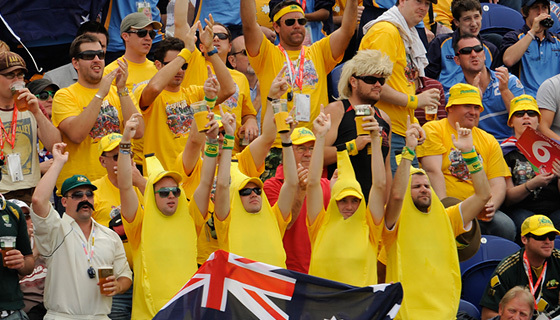 Starting as a group of three friends on the 94/95 Ashes Tour, the Barmy Army now follows the England cricket team all over the world and brings a unique, welcoming atmosphere to the games. Today the organization is much more than just a 5,000 strong fan club. 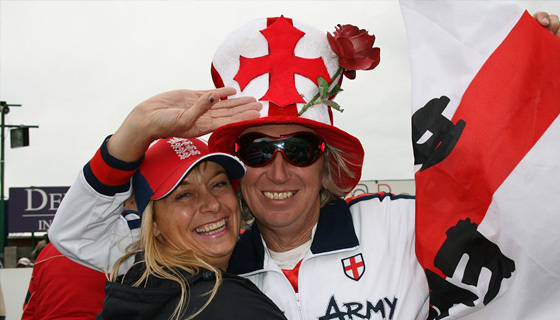 The Barmy Army also organises cricket tours, provides match day tickets and merchandising, and members receive a magazine and special offers including the chance to play in the Barmy Army cricket team. Image courtesy of The Barmy Army. 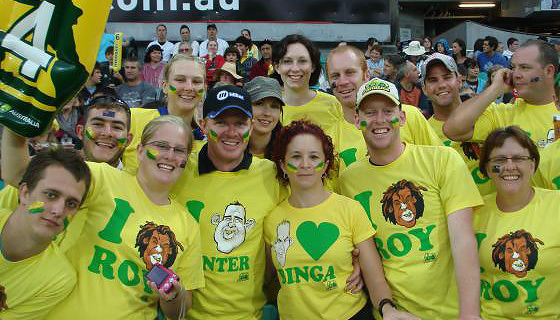 Not strictly limited to cricket, this 88,000 strong organisation exists to organize events for Australian sports fans so they can get together at major sporting fixtures in Australia and overseas. Founded in 1997, the Fanatics now have two full time offices – in Sydney and London – and now offer affordable travel options to major world events the including Gallipoli ANZAC commemorations. Also known as the relentless clappers, the bearers of Larry the Small Horse, and the residents of Beige 13, the Beige Brigade have existed since 1999. Their aim is to get New Zealanders passionate and excited about the game and believe ‘clamorous, optimistic, boisterous support is what every New Zealand cricket team needs’. In a national cricket fan club that we missed? Contact us and let us know about it.